"And we did come to the land which we called Bountiful, because of its much fruit and also wild honey; and all these things were prepared of the Lord that we might not perish." No population residing in the area, based on details such as Nephi having to rely on his brother’s help, having to locate ore, and having to make his own tools. After years of research and exploration of possible Book of Mormon sites, Aston has concluded that when important scriptural locations are “anchored in the real world, we can re-read the scriptural account with heightened appreciation for the story being told and its applications to our own life journey.”19 This is certainly true for Bountiful and its certain identification within Dhofar, most likely at Khor Kharfot. 1. See, for example, Gimel, “Book of Mormon,” The Christian Watchman 12, no. 40 (1831): “To believe the book of Mormon, we must suppose that these emigrants traversed almost the whole length of the Arabian Gulf … and that they discovered a country almost equal to paradise, where no body else can find any thing but a sandy, barren desert.” Warren P. Aston has found that critics have been making similar claims as late as 1985, and that despite being “based on usually-authoritative sources such as the Encyclopaedia Britannica and the Encyclopaedia of Islam,” they have been, “completely wrong.” Warren P. Aston, “Beginnings: The Discovery of Nephi’s Bountiful,” Meridian Magazine, April 11, 2014, online at ldsmag.com. 2. See Hugh Nibley, “Lehi in the Desert,” Improvement Era 53, no. 9 (1950): 707–708; reprinted in Lehi in the Desert/The World of the Jaredites/There Were Jaredites, The Collected Works of Hugh Nibley, Volume 5 (Salt Lake City and Provo, UT: Deseret Book and FARMS, 1988), 109–111. 3. Bertram Thomas, Arabia Felix: Across the ‘Empty Quarter’ of Arabia (New York, NY: Charles Scribner’s Sons, 1932), 48. 4. See Lynn M. Hilton and Hope A. Hilton, “In Search of Lehi’s Trail—Part 1: The Preparation,” Ensign, September 1976, online at lds.org; Lynn M. Hilton and Hope A. Hilton, “In Search of Lehi’s Trail—Part 2: The Journey,” Ensign, October 1976, online at lds.org; Lynn M. Hilton and Hope A. Hilton, In Search of Lehi‘s Trail (Salt Lake City, UT: Deseret Book, 1976). For the Hilton’s more recent research in Arabia, see Lynn M. Hilton and Hope A. Hilton, Discovering Lehi: New Evidence of Lehi and Nephi in Arabia (Springville, UT: Cedar Fort, 1996); Lynn M. Hilton, “In Search of Lehi’s Trail—30 Years Later,” Journal of Book of Mormon Studies 15, no. 2 (2006). 5. Chart derived from John W. Welch and J. Gregory Welch, Charting the Book of Mormon: Visual Aids for Personal Study and Teaching (Provo, UT: FARMS, 1999), chart 148, which is based on Warren P. Aston and Michaela K. Aston, In the Footsteps of Lehi (Salt Lake City, UT: Deseret Book, 1994) 28–29. 6. See Aston and Aston, In the Footsteps of Lehi, 28–29, based on work Warren Aston began in the 1980s; Warren P. Aston, Lehi and Sariah in Arabia: The Old World Setting of the Book of Mormon (Bloomington, IN: Xlibris Publishing, 2015), 104–106. 7. See Aston and Aston, In the Footsteps of Lehi, 27–59; Warren P. Aston, “The Arabian Bountiful Discovered? Evidence for Nephi’s Bountiful,” Journal of Book of Mormon Studies 7, no. 1 (1998): 4–11, 70; Warren P. Aston, “Across Arabia with Lehi and Sariah: ‘Truth Shall Spring out of the Earth,’” Journal of Book of Mormon Studies 15, no. 2 (2006): 15–21; Aston, Lehi and Sariah in Arabia, 103–155. For an account of this location’s discovery, see Aston, “Beginnings: The Discovery of Nephi’s Bountiful,” online at ldsmag.com; Warren P. Aston, “The Discovery of Nephi’s Bountiful, Part 2,” Meridian Magazine, April 17, 2014, online at ldsmag.com. 8. 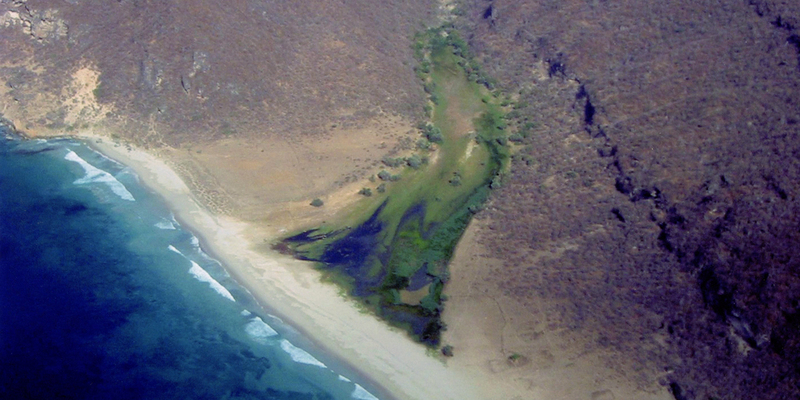 The Hiltons initially favored the spring Ein Arzat, located in Salalah. See Hilton and Hilton, “In Search of Lehi’s Trail—Part 1” and “In Search of Lehi’s Trail—Part 2,” online at lds.org. Wm. Revell Phillips has argued for Bountiful being located at Mughsayl. See Wm. Revell Phillips, “Mughsayl: Another Candidate for Land Bountiful,” Journal of Book of Mormon Studies 16, no. 2 (2007): 48–59, 97. 9. George Potter and Richard Wellington have developed a case for Khor Rori as Lehi’s Bountiful. See Richard Wellington and George Potter, “Lehi’s Trail: From the Valley of Lemuel to Nephi’s Harbor,” Journal of Book of Mormon Studies 15, no. 2 (2006): 35–43; George Potter and Richard Wellington, Lehi in the Wilderness: 81 New, Documented Evidences that the Book of Mormon is a True History (Springville, UT: Cedar Fort, 2003), 121–162. 10. Most informed Book of Mormon researchers, with the exception of George Potter and Richard Wellington, now favor Khor Kharfot as the best candidate for Nephi’s Bountiful (Warren P. Aston, personal communication to Book of Mormon Central Staff by Aston, November 2016). See also Warren P. Aston, “Identifying Our Best Candidate for Nephi’s Bountiful,” Journal of the Book of Mormon and Restoration Scripture 17, no. 1–2 (2008): 58–64; Warren P. Aston, “Why Arabia’s Hidden Valley is the Best Candidate for Bountiful,” Meridian Magazine, May 28, 2013, online at ldsmag.com. 11. Aston and Aston, In the Footsteps of Lehi, 43. It is notable that Khor Kharfot has attracted sustained attention from non-LDS researchers, who have been impressed with its unique plants and animals. Even the name of the inlet, Khor Kharfot, is itself linked to the name given by Lehi’s party. See Aston, “Why Arabia’s Hidden Valley is the Best Candidate for Bountiful,” online at ldsmag.com; Warren P. Aston, “Did Anyone Else in History ever Mention Nephi’s Bountiful?” Meridian Magazine, February 24, 2016, online at lds.org. 12. For example, trees “up to 40 feet in circumference” have been found at Khor Kharfot. Aston, “Across Arabia with Lehi and Sariah,” 20. For further discussion of available timber, see, Aston, “The Arabian Bountiful Discovered?” 9–10; Aston, Lehi and Sariah in Arabia, 135–136, 138, 216 n.4; Warren P. Aston, “Timber for Nephi’s Ship,” Meridian Magazine, May 6, 2014, online at ldsmag.com. 14. Aston, “Across Arabia with Lehi and Sariah,” 20. 15. See Aston, Lehi and Sariah in Arabia, 142, 153 n.42; Wm. Revell Phillips, “Metals of the Book of Mormon,” Journal of Book of Mormon Studies 9, no. 2 (2000): 36–43, 82. 16. See Book of Mormon Central, “Who Called Ishmael’s Burial Place Nahom? (1 Nephi 16:34),” KnoWhy 19 (January 26, 2016); Warren P. Aston, “Newly Found Altars from Nahom,” Journal of Book of Mormon Studies 10, no. 2 (2001): 60; S. Kent Brown, “New Light from Arabia on Lehi’s Trail,” in Echoes and Evidences of the Book of Mormon, ed. Donald W. Parry, Daniel C. Peterson, and John W. Welch (Provo, UT: FARMS, 2002), 89; S. Kent Brown, “New Light: Nahom and the ‘Eastward’ Turn,” Journal of Book of Mormon Studies 12, no. 1 (2003): 111–112, 120. 18. Aston, “Identifying Our Best Candidate for Nephi’s Bountiful,” 63. 19. Warren P. Aston, “Was Nephi’s Bountiful Populated? Does it Matter?” Meridian Magazine, April 24, 2014, online at ldsmag.com. 20. Thomas, Arabia Felix, 48. 21. Aston and Aston, In the Footsteps of Lehi, 49. 22. LeFevre, “‘We Did Again Take Our Journey,’” 65. 23. No doubt, with all this in mind, the Nephites later gave the name of Bountiful to another choice place by the sea in the New World, where the resurrected Savior would appear to many at the temple there. 24. When Nephi recorded his family’s journey on the small plates of Nephi, he often used narrative symbolism and literary allusions, especially to the Israelite exodus. And like the exodus itself, the journey of his family frequently symbolized the journey that each individual makes toward eternal life. For examples of Nephi’s use of literary allusion, see Terrence L. Szink, “Nephi and the Exodus,” in Rediscovering the Book of Mormon: Insights You May Have Missed Before, ed. John L. Sorenson and Melvin J. Thorne (Salt Lake City and Provo, UT: Deseret Book and FARMS, 1991), 38–51; Ben McGuire, “Nephi and Goliath: A Case Study of Literary Allusion in the Book of Mormon,” Journal of the Book of Mormon and Other Restoration Scripture 18, no. 1 (2009): 16–31. It may also be notable that Bountiful, a location with a prominent mountain where Nephi went pray often and receive revelation, acted as a sanctuary from the desert. In this sense, the location of Bountiful may hold meaningful relationships with Mt. Sanai, where Moses received revelation for his people. See Donald W. Parry, “Sinai as Sanctuary and Mountain of God" in By Study and Also by Faith: Essays in Honor of Hugh Nibley, Volume 1, ed. John M. Lundquist and Stephen D. Ricks (Salt Lake City and Provo, UT: Deseret Book and FARMS, 1990), 482–500.